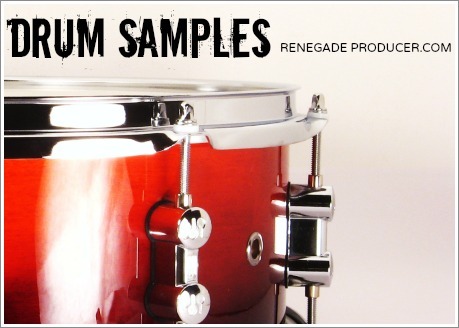 Mission: Find and use the best drum samples for your track, as soon as possible. Why? 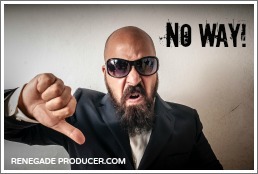 To flip through tons of cruddy samples just to find the gems in your collection is a surefire way to bore you right out of your state of music production flow. It's all about the flow as you know. So, how do you avoid the schlep? A large library of audio samples to work with means you're more likely to find the exact drum hits you need to get your latest track to pop just right. You've probably heard the saying "get it right at the source". Well, in this case your samples are the source. So, start with great samples to make your life easier when you get to mixing. You want to be more selective than a Berghain club bouncer when it comes to what you let into your sample library. Elitism is a good thing when it comes to samples! Keep out the riff-raff with high quality-standards. So what's the door policy here? High definition, well-recorded and well-processed. In other words, your samples must sound great. 24 bit is pretty much the lowest you want to go with samples. You may let in a 16 bit sample in every now and then but don't make this type of lax standards the norm. I think it's a great starter series to own regardless of which specific genre you produce in. Very decent in terms of value for money. The above samples are great bread & butter tools for dance music production which you'll find yourself coming back to many times. You can supplement these with more genre-specific packs. 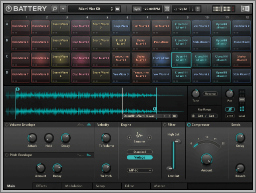 NI Battery is one example of a sampler you can use. So, let's say you need to choose or replace a kick or snare drum sample in your track and you need to do it fast to keep your workflow up. You start to click through your folders to audition sounds and then select one and listen to it in the mix. If it doesn't sit right in the track you repeat the process until you eventually find something that works for your song. The first is that you're listening to the sample outside of the context of your track and then you import it to see if it works. You use your imagination to select the sample because you don't hear it in the context of the track when you audition it in the browser. The second issue is that it's tedious and takes too f@£*ing long. Ain't nobody got time fo' that! Again, you want to get to the best samples as fast as possible to maintain your flow when you produce. Something that greatly improved my own way of working was a tip I got from Ill Gates. 1. Crack open your sampler of choice. I use NI Battery for this but you can of course use any decent sampler. 2. Then, for example, browse and select 128 of your best kick drum sounds and import them into your sampler. 3. Make sure the 128 samples are evenly distributed across the MIDI channels in your sampler bank so each sample is in its' own cell. 4. Save this a preset in your sampler and/or save as a track preset in your DAW. You now have a sampler bank which allows you to audition kicks in the context of the track and move through your library fast. You simply create the kick pattern you want on a MIDI track and then move the MIDI notes of your pattern up and down the keys in the piano-roll to go through your samples while the song plays. Or, you can assign a knob on your MIDI controller to your sampler's cell-selector and turn the knob to scroll through the 128 samples you have in your bank. You may need to do a bit of research to figure out how to set up and use your own 128s if you use another DAW and sampler. It's pretty easy and once you have it set up this system will help you step your production workflow into high-gear. This method works well for drum hits and percussive type samples and it can also be used for bass samples. So, there you have it. Filter for quality and organize your drum samples for super-optimal production workflow and don't look back! Do it now. PS: If you're looking to improve your workflow and productivity I highly recommend you also watch this video. It's a bit long but you'll find some great tips and good production philosophies to apply.